Purpose : The aim of this study was to determine the location, orientation, shape, appearance, and area of the mental foramen (MF), as seen on CT images, and to compare our findings with international values. Materials and Methods : CT records were randomly selected from the collection of 550 Turkish patients and were evaluated morphometric analysis of the MF. 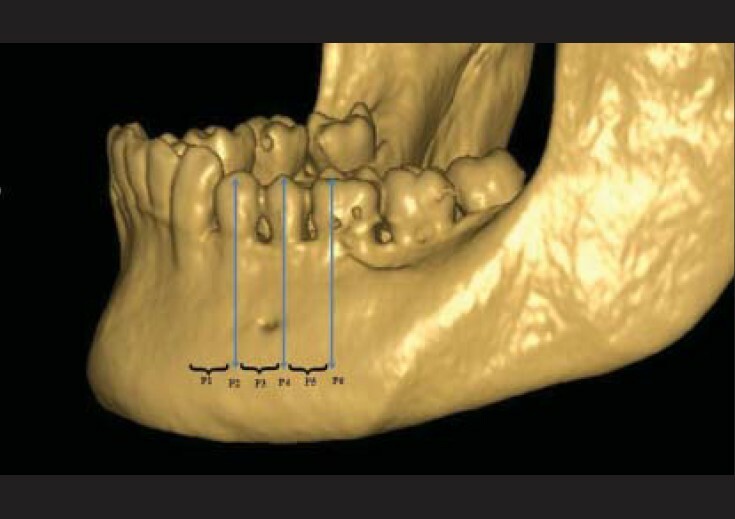 Results : The most common anterior-posterior position of the MF was bilaterally symmetrical and located on the same vertical line with the long axis of the lower second premolar. The majority of foramina were round in shape, and the most frequent appearance was the continuous type. The most frequent (76%) superior-inferior position was situated below the level of the apices of mandibular premolar roots. Conclusions : The results of this study may assist surgeons to localize important maxillofacial neurovascular bundles passing through the MF in avoiding complication from local anesthetic, surgical, and other invasive procedures. Objective: The purpose of this study was to evaluate the prevalence of detectable endodontically related lesions as determined from the reports of panoramic radiographs in a Turkish subpopulation. Materials and Methods: There were 19,625 reports of panoramic radiographs that were evaluated. Four investigators assessed the radiographs and reports that had been written. For each tooth of the subjects, the following items were surveyed: presence of periapical lesion, inadequate root canal treatment, external and internal root resorption. Results: The patients who had panoramic radiography reports were between the ages of 3 and 91 years (mean age 29,43 ± 18,83 years). 10,941 (56%) were female and 8684 (44%) were male patients. Inadequate root canal treatment was recorded in 588 (3%) radiography reports and it was more frequent in mandibular molar teeth. 2287 (11.7%) of the patients had periapical lesions and it was more frequent in maxillary incisor teeth and mandibular molar teeth. External resorption was observed in 61 (0.3%) patient records, while internal root resorption was reported in 14 (0.1%) reports. 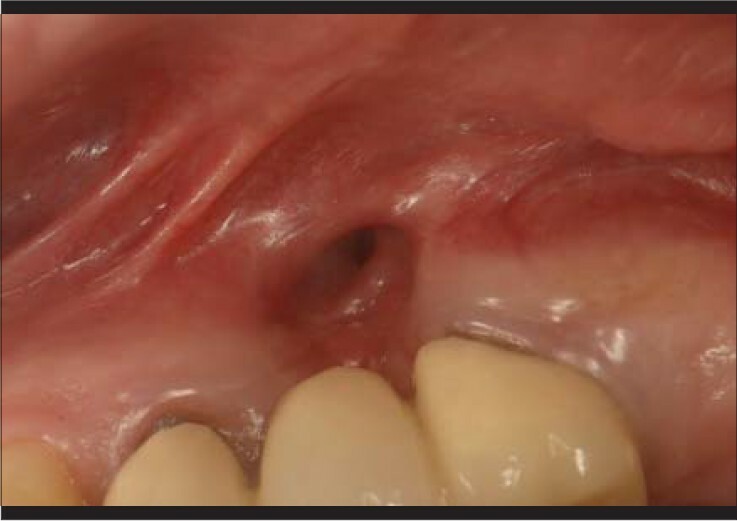 81 inadequate root-filled teeth presented a periapical lesion. A positive strong linear correlation was found between the presence of inadequate root canal treatment and a periapical lesion among the patients (r = 0.098, P = 0.000). Conclusions: The results of this study suggest that external and internal root resorption were not frequent clinical conditions. The high frequency of periapical lesions and inadequate canal treatment in molar teeth indicate the need to improve the technical quality of root fillings, especially in molar teeth. Dentin dysplasia type I is a genetic defect of dentin formation, which is inherited as an autosomal dominant trait. In this anomaly, the teeth generally appear unremarkable with normal crowns; and it is characterized by normal appearing crowns, absence or severe restriction of root formation, obliterated pulp chambers, and periapical radiolucencies without an obvious cause. Clinically, the teeth can be poorly aligned, drifting and mobile, and can prematurely exfoliate due to abnormal root formation. This condition is rarely encountered in dental practice. 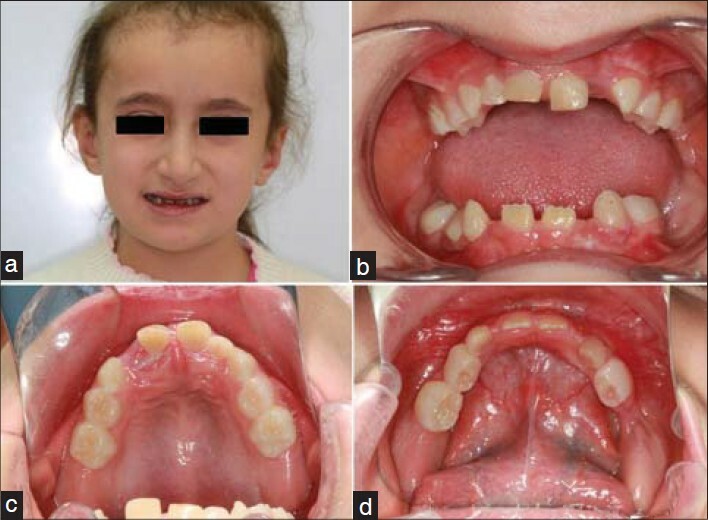 Little is known about the specific treatment of this disorder and management of patients with dentin dysplasia has presented with problems. This report documents a rare case of DD type I in a 7-year-old girl and the clinical, radiographical and histopathological findings of this condition. 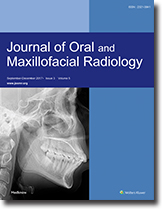 A case report of a 45-year-old male who presented with a deep defect in the alveolar crest at the buccal side of the upper right 1 st molar strongly suggesting a perforation of the floor of the maxillary sinus and an oro-antral communication. Clinical signs and symptoms supported this diagnosis. After radiographic evaluation with Cone Beam Computed Tomography (CBCT), the diagnosis was shifting away from oro-antral communication. The diagnosis of a residual cyst was established after surgical exploration and removal, and histopathologic evaluation. The maxillary sinus membrane was intact. Dentigerous cyst is caused by fluid accumulation between the epithelium and the crown of an unerupted tooth. It grows by expansion of the follicle and is attached to the neck of the tooth. The radicular cysts are inflammatory jaw cysts at the apices of teeth with infected and necrotic pulps. These arise from the epithelial residues in the periodontal ligament as a result of inflammation, usually following death of the pulp. 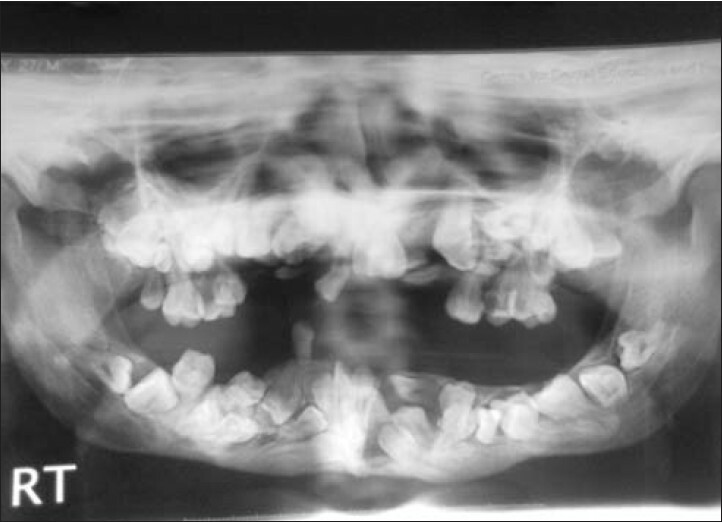 We present a case of a cystic lesion creating dilemma between radicular and dentigerous cyst. Pyknodysostosis is an extremely rare autosomal recessive genetic osteosclerotic disorder caused by cathepsin K deficiency leading to decrease in the bone turnover. It is characterized by short stature, brachycephaly, short and stubby fingers, open cranial sutures and fontanelle, and diffuse osteosclerosis. Multiple fractures of long bones and osteomyelitis of the jaw are frequent complications. We describe a 28-year-old male with clinically as well as radiologically multislice computed tomography (CT) and panoramic studies of pyknodysostosis. The purpose of multislice CT of the jaw was to understanding of the complete abnormal facial anatomy and is useful for planning of tooth extraction and/or implantation of prosthetics as well as to know earlier changes of dental abscess and/or carries development.